X-bit Labs reports AMD plans to increase the performance-per-Watt of its Bulldozer architecture by 10-15 percent each year. The long-awaited Bulldozer micro-architecture was so late to market that it fails to impress and its performance looks pale in comparison with the latest central processing units from Intel Corp. based on Sandy Bridge micro-architecture. 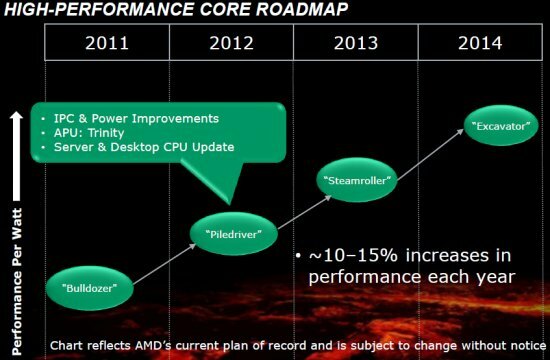 Nonetheless, AMD remains optimistic and expects its next-generation designs to boost performance-per-watt of its products by up to 50% by 2014.